The Education programme have had the pleasure of working with the Tung Wah Group of Hospitals (Early Childhood Services) to conduct pilot ‘Hugging Nature’ sessions in three of their nursery schools: TWGHs Hung Wong Kar Gee Nursery School, TWGHs Ng Sheung Lan Memorial Nursery School and TWGHs Fong Tam Yuen Leung Nursery School. A total of 18 pilot classes, attended by about 80 K3 students, were conducted between October 2016 and January 2017. Teachers of the three nursery schools were tasked with the delivery of the contents and materials supplied by the CnC Education Team to their classes. After the sessions, teachers were invited to share their views and experiences with the CnC Education Team and evaluate the effectiveness of the workshops. On 19 April 2017, the three participating nursery schools met and summarised their views, perceptions and experiences in the workshops that are invaluable to inform and advance the pilot to the next phase. effectiveness of teaching and learning. ‘Hugging Nature’ workshops are organised around the four themes of stone, wood, water and earth in nature. Two 20-minute sessions on each theme, making a total of eight sessions. 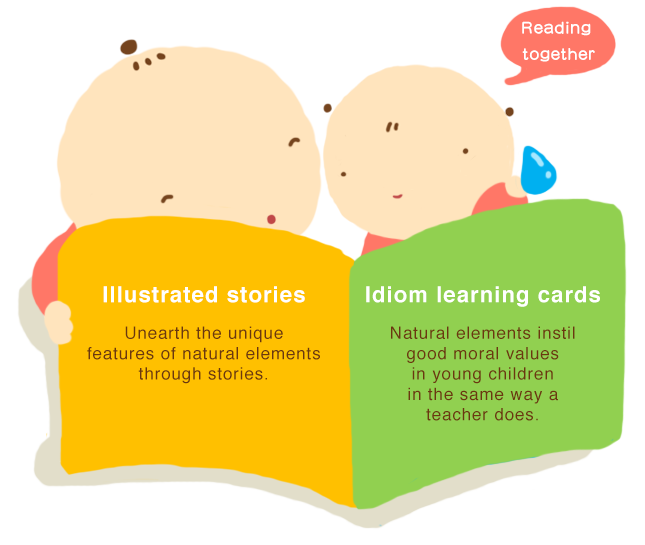 Materials for young children to read with their parents at home or teachers at school. Educational workshops designed for nursery children and their parents have been at the heart of our work at the CnC. 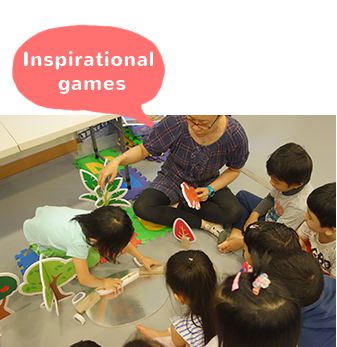 Conducted both at home and abroad, these workshops have been met with enthusiastic responses, especially about elements in traditional Chinese culture that play an integral part in early moral education and creative development. Feedbacks from the participants have informed our future direction of the teaching and learning of Chinese culture in early childhood education, particularly in the areas of developing themes and formats applicable to both kindergarten teaching and parent–child home learning. By extracting nurturing factors embedded in traditional culture that contribute to the intellectual growth of pre-school children, the programme aims to foster appreciation and care for the natural world, as well as interest to delve into the substance of culture that are necessary for early moral and creative development. With a strong emphasis on first-person, hands-on experiences and feelings, ‘Hugging Nature’ pre-school education workshops are organised around the four themes of stone, wood, water and earth in nature. Children are put in touch with traditional culture and explore the ways it relates to today’s living as they learn and experience through a fun-filled variety of stories, games, multimedia materials and arts and crafts activities. 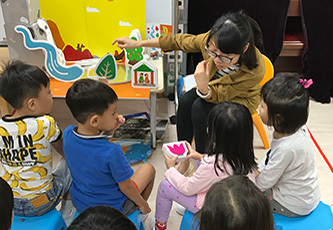 (Early Childhood Services), which made it possible for ‘Hugging Nature’ pilot sessions to be conducted in three of their nursery schools: TWGHs Hung Wong Kar Gee Nursery School, TWGHs Ng Sheung Lan Memorial Nursery School and TWGHs Fong Tam Yuen Leung Nursery School between October 2016 and February 2017, with very positive responses and encouraging results. In March 2017, the CnC Education Team visited Singapore and introduced ‘Hugging Nature’ to young students of Tao Nan School and Singapore Hokkien Huay Kuan Pre-School and SchoolAfterSchool, who learned to embrace nature with their body and mind at the pilot workshops! In order to share the goodness of nature and the delights of the Chinese culture with the children in Singapore, from March 20 to 24, the education team revisited the city for holding a series of the pre-school workshops “Hugging Nature” in Singapore Hokkien Huay Kuan’s affiliated school - Tao Nan School and Singapore Hokkien Huay Kuan Pre-School respectively. The education team especially thanks to the principal of Tao Nan School Dr Chin Kim Woon, the principal of Hokkien Huay Kuan Pre-School Ms Tham Kum Fong and all the participated teachers for the support and cooperation on the activity. The experimental workshop in Singapore, which includes 2 topics, “water” and “wood”, addressed on the characteristics and usages of natural elements aiming at revealing various positive values such as “working together in harmony”, “working in cooperation” and “bringing talent into full play” through a series of activity: rhythmic movement, animation, story-telling and craft-making. During the workshop, the children did get involved so much into the activity. They became so excited while seeing the protagonist of the animation, “water drop” moving in a funny way; at the same time, they enjoyed helping each other during the drawing session. After the activity, the teachers did mentioned the overall activity, which is able to enhance the multiple training to the children, is interactive and comprehensive, and the teaching props and animation are attractive and interesting. On the other side, they would also expect to see more real objects of natural elements and get more guidance in outdoor experience for their students from ours workshop in the future. During the exchange session, the principal of Hokkien Huay Kuan Pre-School Ms Tham Kum Fong led the team to look around the facilities of the school and explain the school visions as well. She also introduced us a mini farm in school, called “life garden”, in which the children can nurture different kinds of plant. She believed it’s a good learning process for children even not all the plants would bloom and bear fruit and reckoned the pre-school activity “Hugging Nature” could be a good start for children to get familiar with the nature before they practice in the garden and learn appreciating the nature. Before the end of the workshop, the tutors were guiding the students to build up their own garden over the worksheets. The principal of Hokkien Huay Kuan Pre-School Ms Tham Kum Fong led the team to visit the “life garden” and explained how to record the process of planting in order to share the information with other students. Starting from the preparation of the pre-school teaching plan “Hugging Nature” in 2016, the education team has gradually developed a series of learning material focused on child care which aims at uplifting children’s learning ability and building a right sense of value for their own. The main theme of the pre-school teaching plan is about “nature”, which includes 4 sub-titles “soil”, “wood”, “stone” and “water”, leading children to recognize the goodness of nature and broaden their perspective towards the world through experience and exploration. The team luckily invited Tung Wah Group of Hospitals (TWGHs) Nursery Services for cooperation. 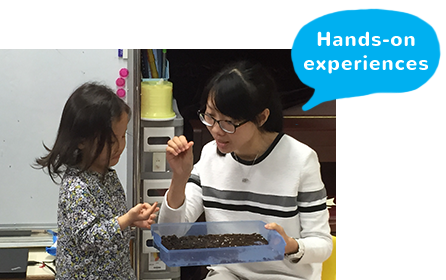 In the period between October 2016 and February 2017, there were 18 trial lessons held in TWGHs Hung Wong Kar Gee Nursery School, TWGHs Fong Tam Yuen Leung Nursery School and TWGHs Ng Sheung Lan Memorial Nursery School. Thank you all the principals and teachers for the support, practice and comment leading the team to further optimize the programme catering the need of pre-school students. 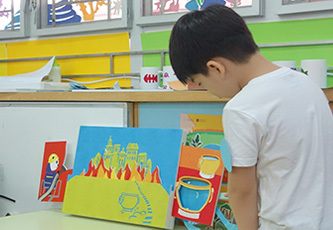 According to the school teachers’ comments, the team included more physical teaching props and experience activities giving students a stronger impression on the nature via different senses. 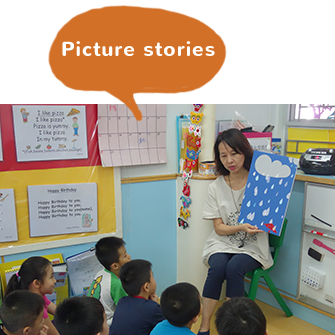 Since the teachers suggested to present the stories from simplest to more complex, the team further adjusted the related contents to fit pre-school students’ learning standard. For example, we made use of the daily life examples as an introduction of the lesson uplifting students’ understanding on the topics. In conclusion, all the participated schools agreed that the trial lesson plan is creative and inspiring. 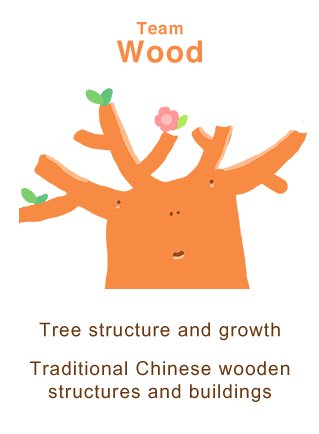 It’s a supplementary for various class topics such as “Caring for the environment”, “Being helpful to others”, “Protecting the nature”, etc. 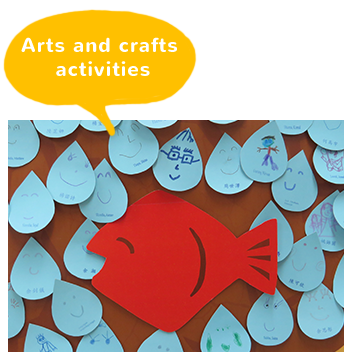 and also able to arise children’s interests about nature and culture by using different kinds of teaching material like props, actual objects, interactive media, worksheets and drawing books. On the other side, the students got involved in the lesson and actively replied the questions about the natural elements from the teacher. Meanwhile, the teacher of Hung Wong Kar Gee Kindergarten mentioned after the lesson the students have already learned to ask more profound questions such as “is the wall made from soil?” and then she would further invite the class to search for the answers and share them with others afterwards. 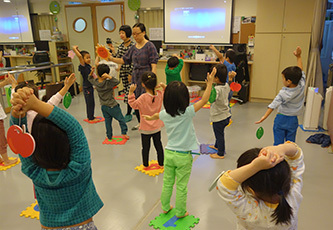 The pre-school teaching plan “Hugging Nature” encourages the balanced development of children getting students in different levels of learning to encounter the Chinese culture. 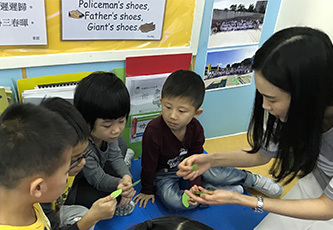 The teacher of Ng Sheung Lan Memorial Nursery School once expressed that to solidify students’ learning base they would emphasize on teaching the Chinese pronunciation of the natural elements’ titles due to the multicultural backgrounds of their students. The team since then has further investigated on the issue of language teaching in the lesson plan. Moreover, the teachers also found their students are not simply more understanding the natural elements but learning to respect and care about the nature. For instance, their students have started reminding each other to switch off the tap after cleaning to avoid water waste. From the development of “Hugging Nature” teaching plan to the trial lessons, not only has the education team bettered the understanding of the pre-school education but also seen a practical outcome from schools. We gladly found that the pre-school students are able to learn things, establish the right sense of value and share with the others even they are only young children. Our preset goal of the “Hugging Nature” teaching plan has initially been achieved. The teachers made use of different teaching materials to arise students’ interests in both the nature and the Chinese culture. Photo: The teachers Ms. Chan (top left) and Ms. Wong (top right) Hung Wong Kar Gee Kindergarten, and the teacher Ms. To (bottom right) from Ng Sheung Lan Memorial Nursery School. The tutor is explaining the method of fire extinguishing in the Forbidden City to the principal Ms. Kung Yu Ping (2nd from right) and the teacher Ms. Yu (1st from right) from Ng Sheung Lan Memorial Nursery School. The team visits Fong Tam Yuen Leung Nursery School for introducing the activity and the usage of the teaching materials to the the principal Ms. Chan Lai King (top left). In the development of Pre-school Learning Kit “Hugging Nature”, we gladly invited serveral schools of Tung Wah Group of Hospitals (TWGHs) Nursery Services, including Hung Wong Kar Gee Kindergarten, Fong Tam Yuen Leung Nursery School and Ng Sheung Lan Memorial Nursery School for cooperation. Following by the topics, “water” and “tree”, the latest trial lesson is about “stone”. With the strong support and participation from the teachers and principals of the nursery schools, the children have started finding the inner beauty of stone through learning different characteristics and usages of stone in ancient time. The lesson began with experiencing stones. Before the class, some teachers have already invited students to collect different stones for sharing. Via observing and contacting, let them feel the thickness, weight and size of the stones. On the other side, the lesson made used of “tai wu stone” as an example to explain how weird stones can inspire children’s imagination. The teacher said, “What have you seen on the stone?” and the students instantly yelled “butterfly”, “piggy”, “thrumpet”… One can see that not only do the students own unlimited creativity but also start feeling interested in stone. To share with children about the stones they see today might have been eroded by rain and wind or carved by people, the team designed a series of animation and teaching material. During the review meeting, the teachers mentioned that the lively teaching materials would strengthen not only the communication between teachers and students but also students’ impression on the learning subjects. They expected more interesting designs and images will be included in the coming curriculum. On the other side, the workshop introduced “cobbled road” as a craft work in which ancient people made use of various stones in different colors and textures to create images and patterns. In order to put the imagination to practice, the teachers encouraged students to express their thought and interest on paper via “stone stickers”. By observation, most of the children’s works were related to everyday life and the subjects included house, MTR trains… etc., which highly reflected the children are expecting not only an ideal home but also a journey to explore and discover the unknown world. 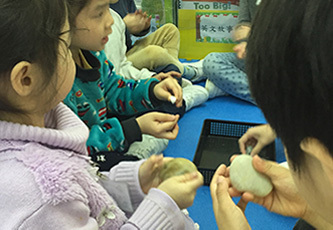 To encourage feeling the difference, the teacher of TWGHs Hung Wong Kar Gee Kindergarten, Ms. Chan let students observe and contact stones in different size and shape. The teacher of TWGHs Ng Sheung Lan Memorial Nursery School, Ms. Yu, was introducing how stone crafters make use of carving tools to create different stone sculpture and building material. 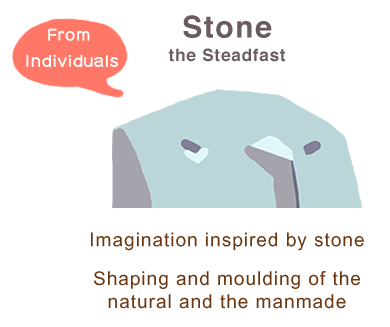 The education team looks forward to introduce the diversity of stones to students by a series of lively animation and display. Starting from early this year, the education team has been preparing the Educational Kit for Pre-schools “Hugging Nature”. 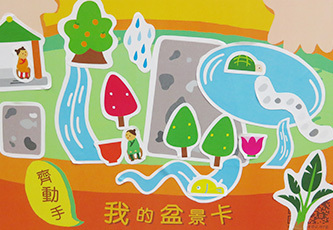 The curriculum, which consists of four thematic sessions: “water”, “rock”, “soil” and “wood”, aims to initiate young children being fond of both nature and Chinese culture. The team gladly invited several Nursery Schools of Tung Wah Group of Hospitals (TWGHs), including Hung Wong Kar Gee Kindergarten, Ng Sheung Lan Memorial Nursery School and Fong Tam Yuen Leung Nursery School to join in a collaborative programme in order to put the educational kit into practice. In October, the trial lessons of the educational kit have officially launched in kindergartens leading young children to explore the nature. From sound-clip playing, storytelling to visual display, the workshop made use of various kinds of teaching format to inspire young children to experience the delights of nature. According to the response in class, it is no doubt that the young children are full of imagination and creativity on “water”. During the class, the teacher tried to integrate “water” to children’s daily lives. “Do you see it when you sitting on the bus?” she asked and introduced a waterfall nearby the school. Through the interactions in class, the students gradually understood that the good nature is actually close to them and can be found in their daily lives. After the trial lesson, the team held a review meeting with teachers for exchange. The valuable comments from schools would definitely help the team further understand the needs of our target audience and improve the teaching content accordingly. 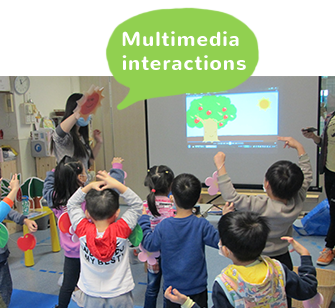 To cater for the development of young children, the teaching materials are designed in various formats such as three-dimensional display, interactive game and multi-sensory experience. Gently flowing water can come together to form a sea carrying large wheels; at the same time, rough stone can also become pebble with shiny and smooth surface through erosion. The education team is currently developing the Educational Kit for Pre-schools “Hugging Nature”aimed at discovering the cultural connotations from the characteristics of natural elements in our surrounding. 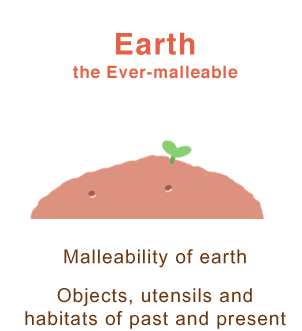 The educational kit which consists of 4 topics: “water”, “stone”, “soil”and “wood” will include storybook and workshop combining different medium, such as story-telling, artwork-making, interactive game, physical experience and digital media, to get students into an exploring journey of nature. 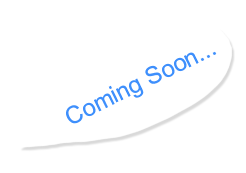 In the developing process, the team looks forward to presenting the interesting yet thoughtful contents to users through a lot of learning and thinking. For example, while discussing about the topic of “stone”, we found that many unique stones like stalactite, Taihu stone, diamond, jade, etc., are always treated as treasures. However, how those stones are being formed? In fact, before discovered by humans, the stones have undergone long-term surging by natural force in order to transform into different shapes and looks. Besides learning about the attributes of stone, we hope that students will recognize that just like stones, people are also able to become better through a long period of solid training. Stone, which is difficult to be mined and moved, has been largely replaced by the other raw materials for manufacturing or constructing today. Nevertheless, it is said that the human civilization might initially start from a piece of stone. 2.5 million years ago, human ancestors began to use stone implements for cutting wood, digging holes, hunting animals, etc., to improve their living conditions. Until 4,000 to 3,000 B.C., bronze (metal), had gradually replaced stone for making implements; however, stone still remained as an usable material for humans in the longest period of time so far. On the other side, someone said that, in order to handle stone implements, humans evolved dexterous fingers; therefore, our ability to write today may also relate to the needs of ancestors: holding stones in hand. Apart from stone (which influenced the human development), there are still a lot of things looked ordinary but worked remarkable in our daily lives. Via the study of natural elements, we encourage students to observe, experience and explore more possibilities from the nature. Stone can be rough, smooth, colourful, etc. Through observing different stones, the tutors found that each piece of stones, just like human beings, also has its own characteristics. In order to promote the Chinese culture to younger generations, the team has been preparing a new curriculum targeting pre-school children. 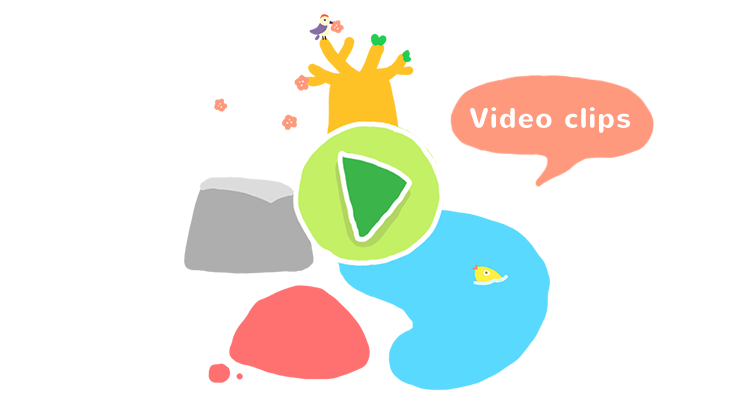 Based on several successful curriculums and the previous teaching experience, together with 3 key learning objectives: “knowledge”, “skills” and “attitudes”, the team expects to initiate the topics about the Chinese culture to children in the early stage of learning through a series of visual imagery and diverse content. At the beginning of the project, the team was struggling with an issue about how to practice the teaching content in a proper way. Considering that the target group is fresh in learning, instead of including a bunch of abstract or profound meanings, the content should be inspiring and easy to learn. Since then, the team has started a series of brainstorming sessions aiming at linking pre-school children to the traditional Chinese culture. In order to stimulate our tutors’ thinking, the team has especially arranged a field trip to Ma Wan and several visits to different pre-school education activities to observe and gather information for reference. “To rediscover the things that we knew before and explore the most valuable elements from them.” Mr. Ma Kin-chung, Education Director of CnC, often mentioned. Do you know how the children in the past studied the Chinese culture? In fact, they were living with it. Every activity in daily lives was also the cultural practice at the time. The education team believes that the society has changed over time; however, people’s sensibility still remains. Children are able to recognize the Chinese culture by feeling and experiencing ordinary things in daily lives. 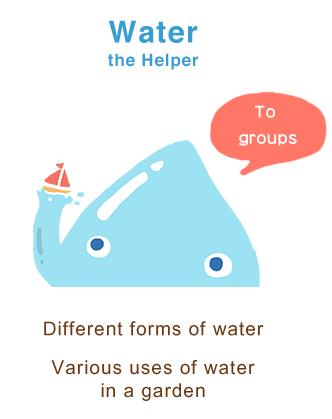 For example, “water” is one of the teaching subjects in the curriculum. The team encourages children to stretch their imagination and build up the worldview through observing “water” and thinking out of the box just like how the ancient literati often personified “water” to be lively and emotional. The pre-school workshop curriculum is a significant education project of the year. The team looks forward to developing a comprehensive and meaningful education project in school enabling children to enjoy the delights of the Chinese culture. The tutors are discussing about the topics that are worthy for investigation.